If you missed it, the final cross country fixture of the season was at Alnwick Castle on Saturday, with a strong end to the season for all involved. Stephen Jackson weaved his way through the 550 strong field from the fast pack to finish a cracking 11th overall. 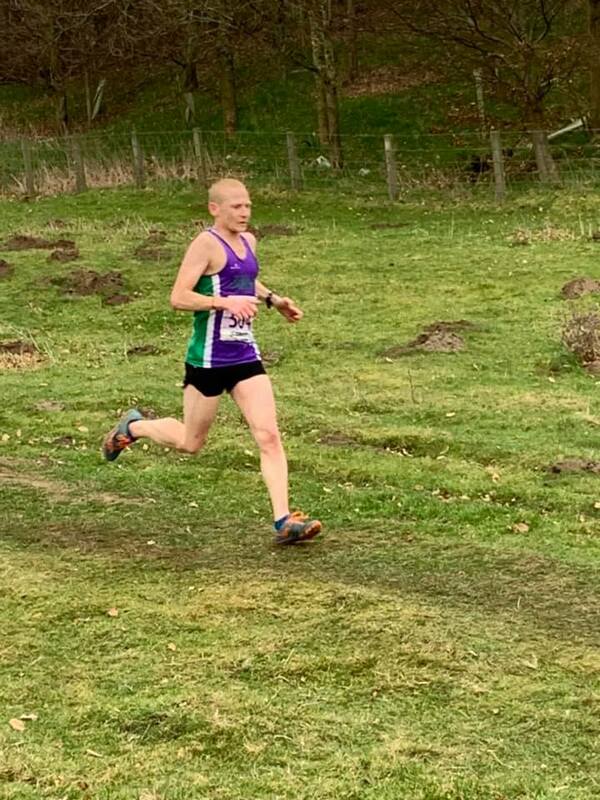 Stuart Ord finished strongly to gain promotion to the fast pack for next season, closely followed by Rory, Michael L, Allan Renwick and Georgie making up the men’s team. In the ladies race, the counters were myself, Susan Leight (continuing her strong start to cross country and gaining promotion to the medium pack), Zanna Clay and Laura Jennings. 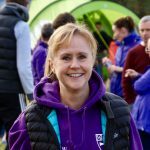 Special mentions to Alison Smith, who took nearly 3 minutes off her time for Alnwick last year and to Susan Davis, who it was lovely to see back on the start line at the Harrier League! 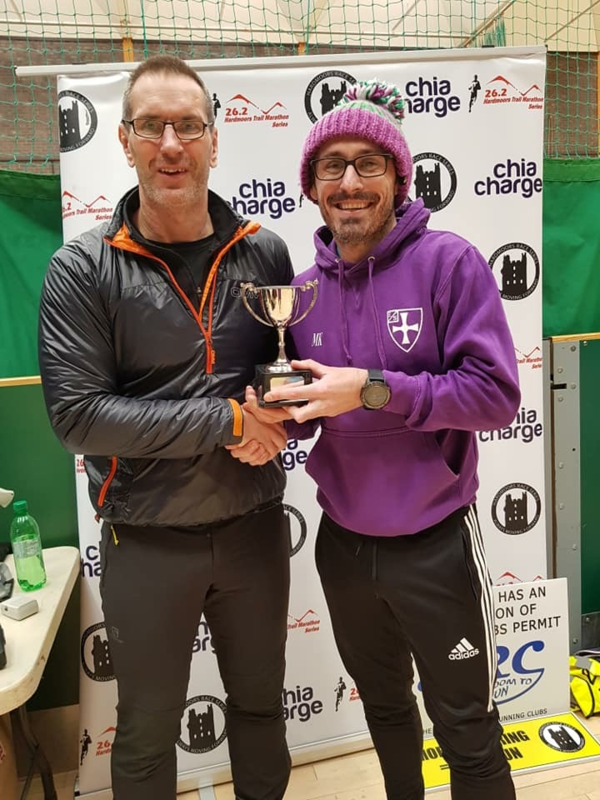 Down at Dalton Park on Sunday, Chris Callan also had a flying return from injury to finish an impressive 2nd place at the Dalton Park 5K, good work! The light nights are almost upon us, only a few more weeks of dark running! 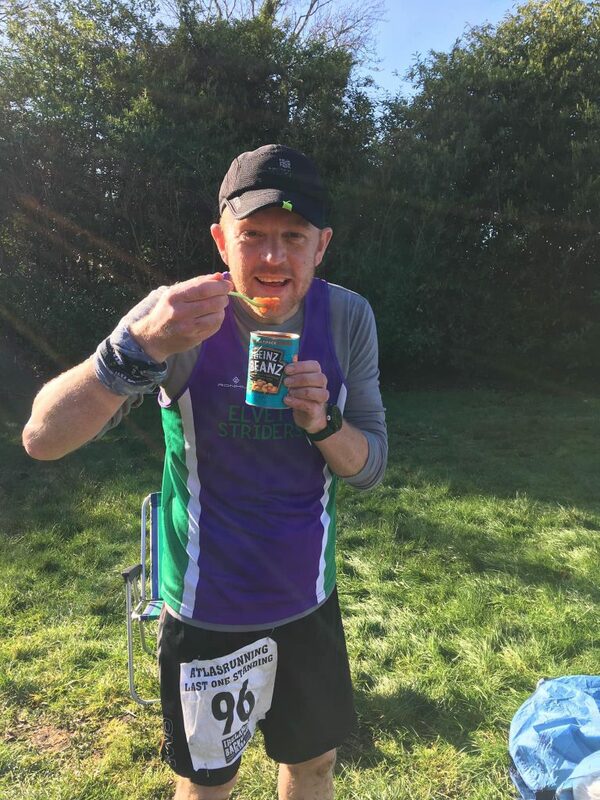 During the Summer of 2018 I entered GB24, an event where you had to run as many 5.7 mile loops as possible, in 24 hours, I absolutely hated it and vowed never to enter a looped event ever again. 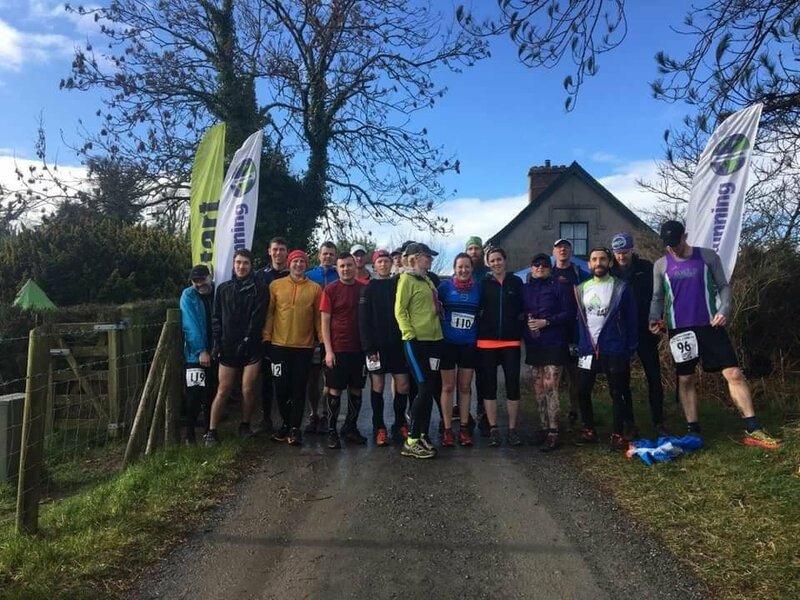 Fast forward 7 months and there I am stood on the start line of Last One Standing Castleward a looped event with no pre-determined end. The format of the race is simple every hour, on the hour, you set off to complete a loop of 4.1666 miles (meaning every 24 hours 100 miles is covered) once you have completed a loop you have to be ready to start the next on the stroke of the following hour. If you fail to complete a loop within one hour you are timed out, if you are not in the start area at the stroke of the next hour you are also timed out. The race continues indefinitely until only one remains, they are crowned the champion and everyone else is officially classed as DNF. So why would I ever enter such an event when I hated GB24 so much? The reason behind this is I love pushing myself to the limit, big adventures and races that are a little different. One of the most famous extreme ultra marathons in the world called The Barkley Marathons is hosted by a guy called Lazarus Lake, this legend also puts on a race called Big Dogs Back Yard Ultra, Laz stated he would grant automatic entry to his race is you won Last One standing, I just couldn’t resist giving it a shot. Big Dogs Backyard Ultra attracts some of the best ultra runners in the world and I would be joining them out in Tennessee in October if I could pull it off, there were a number of events worldwide that could get you into ‘Bigs’ and the first two golden ticket winners did it in 104 and 129 miles. 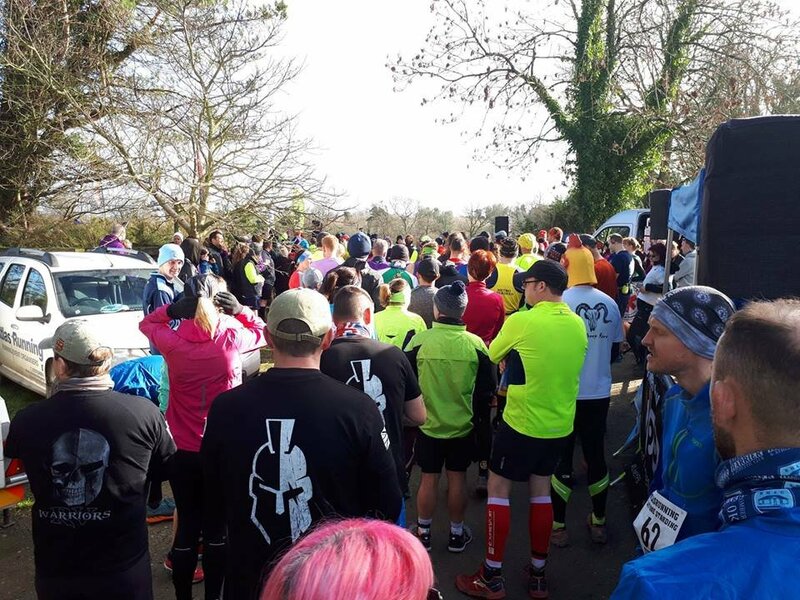 At 12 noon on 16th February me, my good wife Susan and 127 others stood on the start line with no idea of how long we were going to be running for. 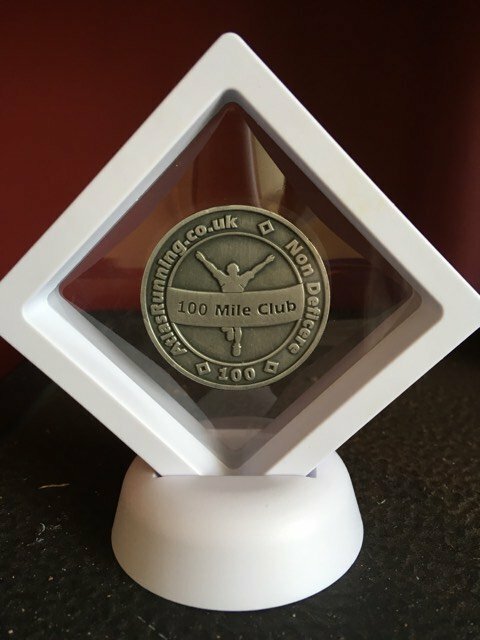 Susan had only decided to enter 4 days previously and the plan was she would stay with me for as long as possible then help support me for as long as it went on for, we were hoping she would complete about 6 laps as she hadn’t run over 10 miles in ages and her distance PB was 26.2 miles. At the stroke of 12 the race got underway and it just felt really weird as everyone was trying to go as slow as possible, everyone was stressing they were going too fast and people made comments about how stupid some were tearing off at something crazy like a 10 minute mile pace. There was a great atmosphere from the off and everyone was really excited about the prospect of going as far as they possibly could. As there was 129 of us on relatively small forest trails everyone just snaked along, it felt as if we were part of a big club social run or something. Everyone was just chatting away, enjoying the scenery and getting to know each other it was really very pleasant. The first lap finished and this is when the stress began, we only had 10 minutes to eat, drink, queue then go to the toilet then get ready to start the next lap, it was amazing how fast those few precious minutes went. The same pattern continued for the next five laps, easy going out on the trail and then a massive stress to get ready for the start of the next lap, completing a 4.1 mile loop in one hour is very doable for most club members however if you need the toilet on your break it can take up a few minutes and you constantly have this little voice telling you if you don’t fuel up properly its game over. By lap 6 the head torches came out and Susan still felt great, this was a massive bonus for me, we just continued on around as if we were on a Sunday afternoon run out. The laps quickly passed by and as there hadn’t been too many early fallers Susan was determind to keep on going, we hit 10 laps and this is when she decided she had another 2 left in her, if she hit 12 laps that would be 50 miles and a new distance PB for her of 23.8 miles. Susan absolutely smashed it and we were both so happy she’d achieved such a massive distance PB. Starting lap 13 felt strange, I was now out on my own, there was still a real social feel to the run as everyone is together at the start of each lap and most people are concentrating on going slower rather than faster, you chat a lot along the way. I found myself constantly trying to work out who my real competition were, I would strike up conversation with the people that looked like they were really good runners along with those wearing t shirts for seriously hard races that I intend to complete myself one day. The laps steadily past by and I continued to feel great, I knew the race would go on a long time so had always just tried to think of the first 24 hours as the warm up, this probably sounds pretty crazy as 24 hours means 100 miles but so much is needed mentally to keep you in a race like this and I had to get my ‘warm up’ right. By 6 am I was really ready for the night to come to an end as the morning meant I was within reach of my ‘starting point’. At about 6.30am I caught up with another runner who’s head torch had died, as I had a spare I lent him mine, he was very grateful, however unfortunately for me my battery failed 10 minutes after this meaning I was now in the dark without my spare! After 5 minutes of running in the dark, hoping the sun was going to rise any minute, another runner came to my rescue and I borrowed his spare to help complete the lap. The first 7 minutes of my next break were going great when suddenly I got really bad stomach cramps, in any normal situation I would have headed straight for the toilet however the problem I had was the next loop started in 3 minutes and I simply didn’t have time, I carefully made my way to the start wondering how on earth I was going to get out of this predicament when all of a sudden I felt fine again panic over and off we went. More time and loops passed by and before I knew it I was coming to the end of loop 24, the 100 mile mark and the long anticipated end of my ‘warm up’. 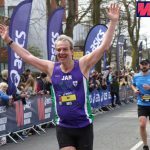 We were told there was going to be a photo to the celebrate the 100 mile club so I spent the last 2 mins of my precious 10 desperately seeking out my striders vest for the photo, I think I made it to the start area with about 15 seconds to spare. By the end of lap 26 I was on a total runners high, I was buzzing and asking Susan to dig out the head torches again as everything would need to be fully charged as I was definitely going for another night. I don’t think Susan was fully sharing my enthusiasm at this point, she had completed a massive distance PB herself only hours earlier and had, had virtually no sleep as every hour I would come storming into the tent waking her up asking where was this, that and the other, looking back now I don’t know how I didn’t get punched, think I’ve definitely got a good one there! By the end of lap 27 things were starting to change and I could feel the dreaded death spiral looming. My lap times had all been pretty consistent but when you can hear the call for the next loop to start in 15 minutes and you are still about 10 minutes from the end of a loop it really starts to mess with your head. You are tired, you need a rest, the toilet, to eat, to drink to plan what your next move is but you also know you only have 5 minutes to do this before it all starts again. I finished my lap sat down for a drink trying to think straight then the call came that we had only two minutes to get to the start for the next loop, I could have cried! My three children had recently arrived with my sister in law and although it was fantastic to see them it didn’t half cause me to have a roller coaster of emotions, when I first saw them I was so happy but then my kids wouldn’t come near me cause I was too smelly! I started loop 28 trying to put on a brave face for the kids but I was now in serious trouble, I did the first 300 meters or so then my eldest two Oscar 6 and Katie 4 came running across the grass to meet me at the first turn I was way behind the other runners now and am not ashamed to admit I burst into tears when I saw them cheering me on Oscar’s face dropped asking what was the matter I told him I was trying my best and he should always do the same, he told me he would. I was in a right state, I’d brought my phone on this lap I was listening to my favourite fearless motivation album, I started messaging a people I’ve spent a lot of time training with as well as looking through all the messages of support on the Striders Facebook page desperately seeking for motivation to pull myself out of this hole, I am very grateful to everybody who helped pick me up at this point. I ate a load of sweets, drank a lot of sugary stuff and continued on. My first two miles of this lap must have been really slow but I managed to pull it around somehow and caught a good few of the other runners up, much to their surprise, and finished the lap. 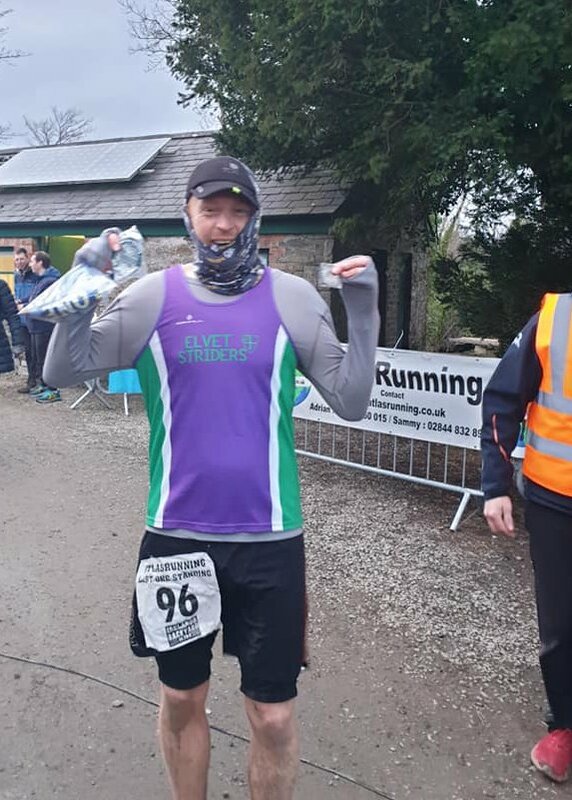 I pretty much knew I wasn’t going to make lap 29, within the hour, however I was never going to give up from the start line so my only option was to set off and hope I didn’t make it back in less than an hour as that would mean I would have to go again, it really screws with your mind! After the first few hundred meters it was pretty obvious I didn’t have a chance in completing another loop within the hour so I just walked and stumbled round very slowly. I saw Susan her dad and the kids about a mile into this loop and told them it was game over, I think they were all relieved. I stumbled on to the second mile marker and hoped I could just cut back from there taking the final two miles off the course, I was informed this wasn’t allowed so if I did this I would lose the two miles I had done, I wasn’t going to lose these off what was already a massive distance Pb for me so I stumbled on like an 80 year old drunk. I think I completed lap 29 in about 1h30 and fell into Susan’s arms on the finish line, I was done but am proud to say I gave it everything I had. I waited to shake the hands of the remaining runners and was driven away completely in ore of the 8 remaining runners heading out onto lap 31 with no end in sight and much talk of a 200 mile plus race! I ended up being 9th last one standing with just over 120 miles whilst the winner Peter Cromie went on to complete 41 laps and over 170 miles!! This weekend gone was the big one! 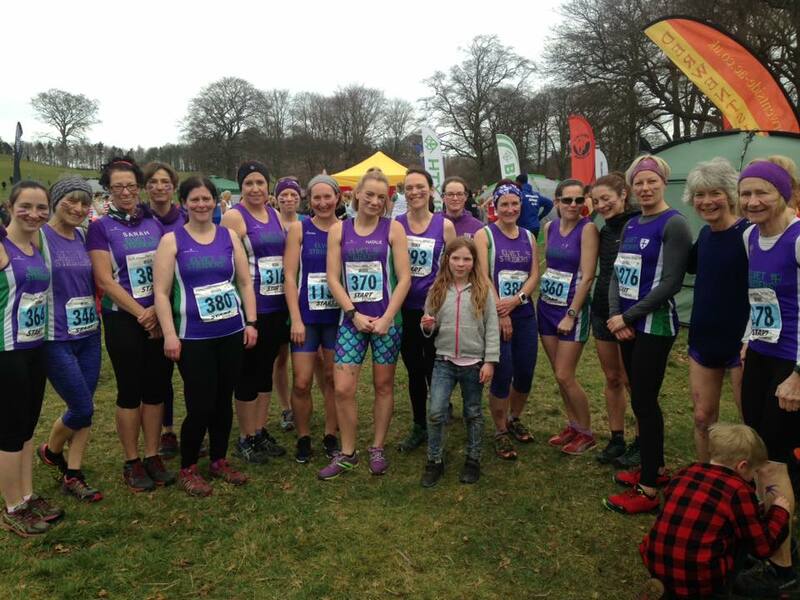 For many people – 17 of us travelled to Harewood House for the National Cross Country Championships, competing amongst the Nations best on what felt like a summer day – no mud was to be found anywhere! A great day against a stunning backdrop, with performances to match! 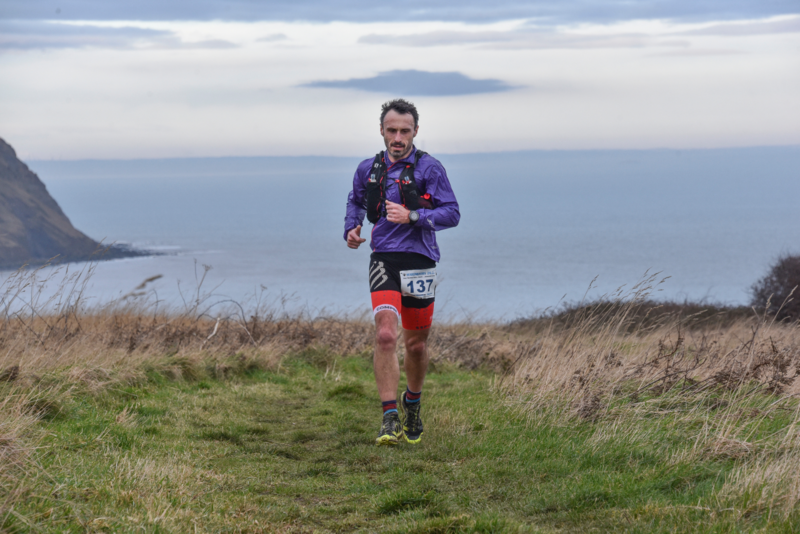 Congratulations to all who ran the various distances of the Endurancelife Northumberland Coastal Runs, challenging courses but it looked beautiful! Lastly (though I’m sure there will be more I’ve missed, sorry!) 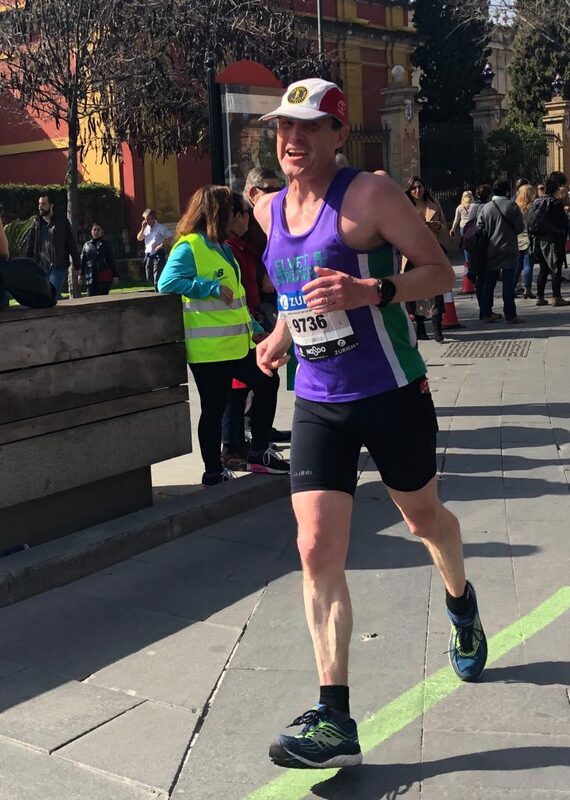 a mention for Sam Renwick, who completed the Transgrancanaria ultramarathon – 128 km long with 7,500 m of ascent – phenomenal achievement after just over a year of running, well done! Coming up next – the final Harrier League fixture! The ladies and men’s teams are both safely in division 1, but Alnwick is one of the best venues, and we usually finish well here. Anyone who hasn’t collected their number, or who would like one for this weekend please contact Elaine or Geoff, and come and have a go! Intrigued by the picture on the Duergar Run website of a fierce looking character, and the prospect of being chased through the fells by a wild creature or suchlike, I decided to find out more. 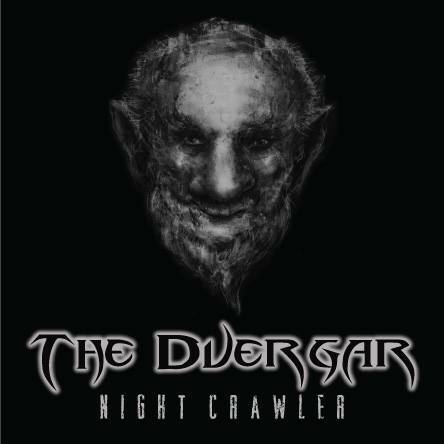 I discovered that Duergar comes from the old Norse word Dvergar which means Dwarf. There are many old stories which suggest that these Duergars live in the rocks and hills around Simonside, their purpose being to lure unsuspecting hikers or travellers by torchlight over rocky ravines or into deep bogs. I reckoned they would be happy to target unsuspecting runners too. I downloaded the GPX route and imported it into my OS Maps app – my ‘just in case’ navigation aid, then pondered the relative merits from my shoe arsenal, opting in the end for my newish Hoka Mafate Speed 2’s, which amongst comfort and cushioning promised much for technical trails. I checked that I could comply with the kit list and that my head torch was charged then set off for the 1-hour drive North to Rothbury. I couldn’t make this event last year due to a clash with the Northumberland Coastal Marathon which Lesley had run. Although Lesley had recommended I run the Coastal Marathon this year, our eldest Son’s drum exam meant that the only sensible alternative was to take my chances on the Duergar Run! When I arrived, I parked near to Tomlinson’s Café and Bunkhouse where registration was taking place. I noted a swathe of competitors engaged in essential carb-loading preparations, the choices on offer making me lament my choice of a triple-chocolate muffin from a global chain of coffee shops en route. 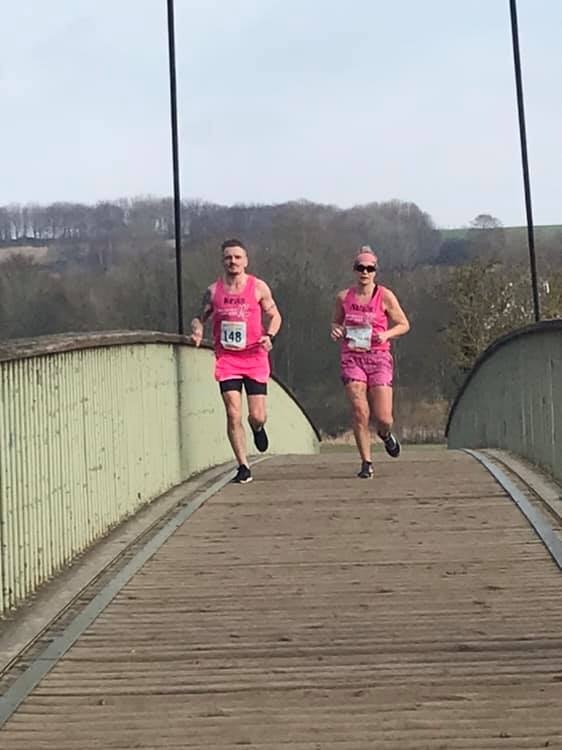 I strolled across the bridge to Haugh Car Park, engaging in discussion with other runners (including fellow Strider Karen Wilson) about the ‘steep climbs for 4 miles’ and ‘treacherous declines’. We listened attentively to the safety briefing, which amongst other things called for dynamic risk assessments by all runners. Then we were off, and up, up, up and up a bit more on Whitton Bank Road and Hillhead Road until we hit a trail which continued to climb. Leaving the normality of farm tracks and paths, and passing the first water station, we encountered the challenging climb past caves and a man in traditional costume fiercely beating a bodhran. At various points which followed we encountered marshals who encouraged us but we also heard screams and noises which could only be associated with a dreaded Duergar! 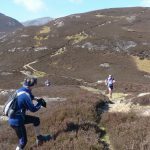 The climbs were often on stone steps which slowed progress, and on the flats (or sections which were less hilly) we had the challenge of running on stone slabs, which were irregular and with gaps between them sufficient to catch an unsuspecting foot. After Simonside Crag we had a steep technical descent and then a set of forest trails, which were certainly not tourist paths but on balance less climbing to contend with. We enjoyed a further series of descents on slippery loose rocks before the lights of Rothbury started to appear in the distance. At the final water station, I had three jelly beans which provided me with a welcome sugary boost and then I set to work on the final section which was net downhill. Pleased at this point as I knew I was within 1km of the end, I let my guard drop and on exiting (falling through) the final gate at the drop down to the bridge in Rothbury, I performed one of my trademark barrel rolls. Having managed to maintain forward momentum I regained sufficient composure to lift my pace over the bridge to the finish. A friendly welcome at Tomlinson’s, a t-shirt and a welcome cup of mulled wine followed. I’d recommend this event without reservation, if you are content with a challenging trail/fell route and the prospect of being captured by a Duergar! Well done to Cold Brew Events for slick organisation, and to the marshals and those involved in supporting this excellent event! The GP results have now been updated with the results from Thornley XC5. The next GP event is the final Harrier League event of the year at Alnwick on Sat 2nd March. In Durham, at the Runners of the Lost Ark event, there was a large Strider contingent, with many significant distance PBs achieved. 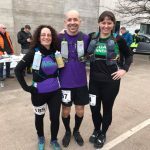 In particular I would like to mention Natalie Bell, as for those who aren’t on Facebook may not know, was running the event for charity and her sister, and completed an incredible 37.2 miles and raised over £1000 – all your training and hard work has certainly paid off! If you would like to read Natalie’s story, have a look at her just giving page. In Seville, Dougie and Stephen were enjoying the sun – or not, while they completed the Seville Marathon. Some holiday!